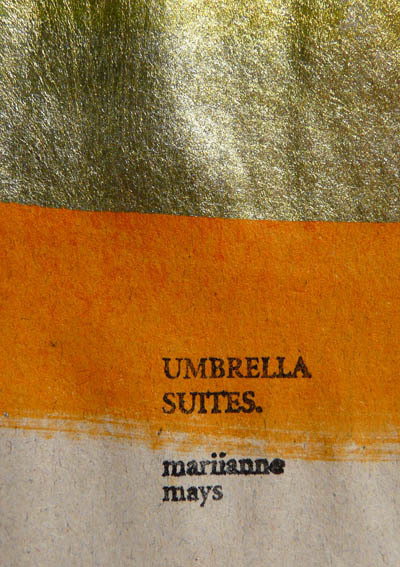 Drawing on the variance between loss, capture and confusion, UMBRELLA SUITES is a grouping of poems with the umbrella as its core device: Open and shut, fort and da, there and gone. The SUITES work from the blurred architecture of a figure in the rain to the sharpness of our weapons, from the intricacy of love to the subtleties and absurdities of (mis)communication and (mis)understanding. 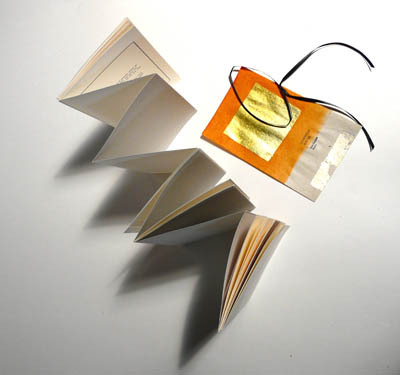 Materials: Accordian-folded. 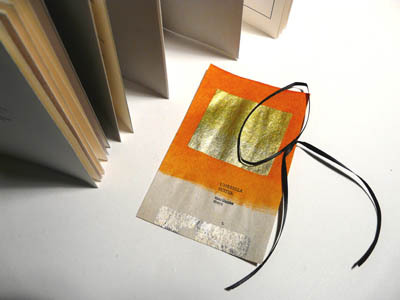 Cover: foiled yellow Chinese joss paper with embossed stamp. Bound with silk string.